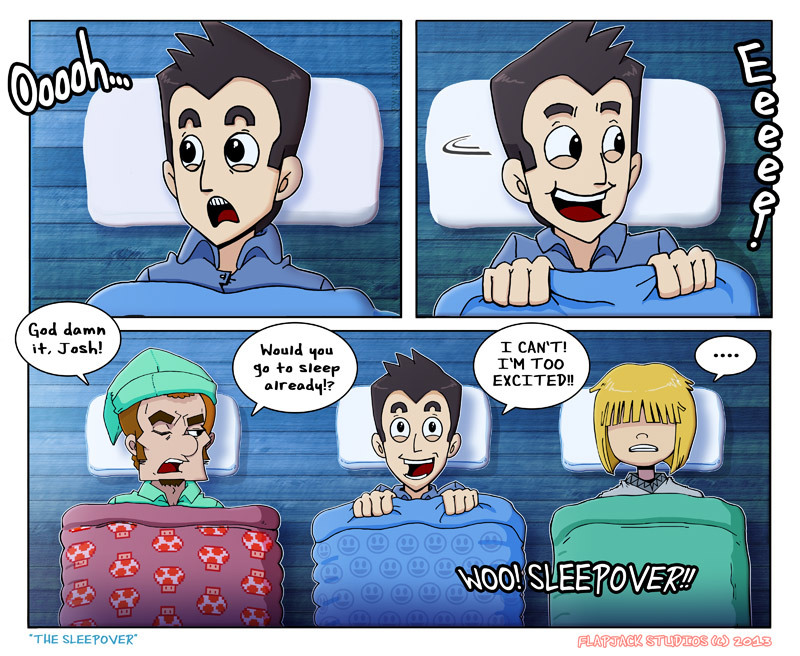 Flipside U #24 - The Sleepover! Well, well, well. Looks like another Flipside U. is up and ready to be enjoyed! This is one to be excited over, to be sure, but if there's one person more excited than you, it's our main character. Haha. I hope you all like "The Sleepover" as much as Josh does. Until next time!